We've rolled support for QR codes directly into our Template Designer making it easy to integrate QR code functionality into any template. For those not acquainted, the QR code (abbreviated from Quick Response code) provides quick access to websites, phone numbers, email addresses, etc. Smart phone users with the appropriate app can just scan the code with the phone's built-in camera and will be instantly presented with the website or phone number associated with the code. 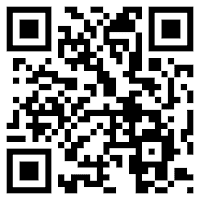 To get started just create or edit any template and select the QR code from the Library.